Veteran weather broadcaster Ed Greene is leaving CBS-affiliated KCNC-TV in Denver after more than 35 years with the station. Greene is the longest-serving forecaster in Denver and first broke into broadcast journalism at KIMN radio in 1972 and later had a brief stint at KMGH-TV as a weather and news anchor in 1976. Greene has been with KCNC-TV since 1981 and will remain a part-time contributor at the station. 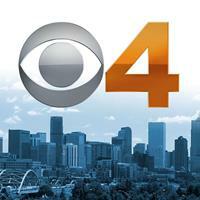 Follow KCNC-TV on Twitter.